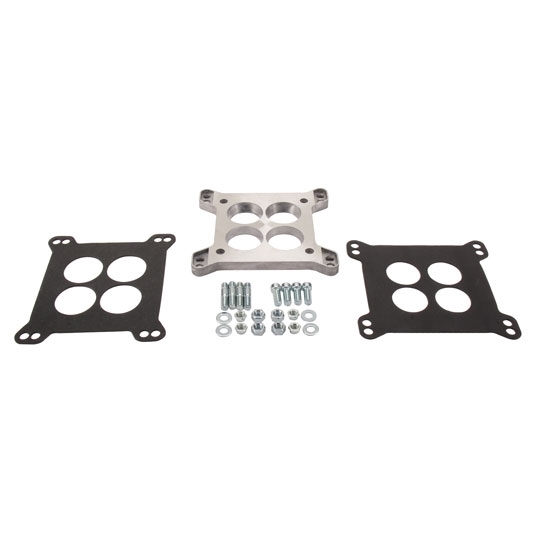 (1): 3.750" x 3.875" (2): 4.250" x 5.625" (3): 5.125" x 5.625"
This plate adapts a Holley/Edelbrock/Demon/Carter AFB carburetor to the 1950's/1960's 1-7/16" Rochester 4G/4GC 4-Jet (small base bolt pattern) intake manifold. Will also adapt the Rochester 4G to a medium/large base 1-11/16" port or open 4-barrel intake manifold. This tapered port carb adapter comes with gaskets for the top and bottom as well as all mounting hardware.